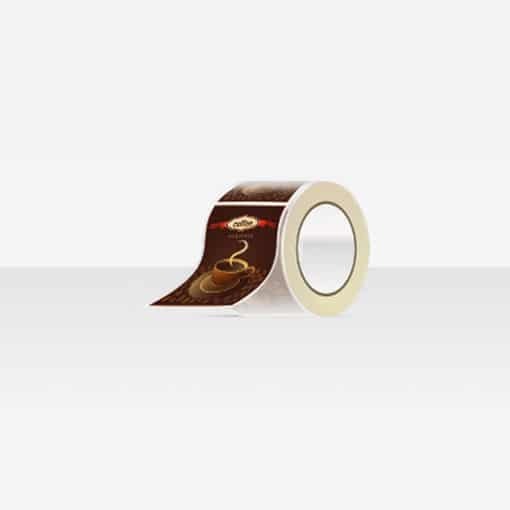 Roll Labels are printed in full color on the front side of adhesive-backed synthetic stock and mounted on a roll of carrier material with easy release. They are available in circle, oval, square and rectangle with rounded corners, and can be printed on either indoor or outdoor stocks. Since they come on a roll, Roll Labels take up little storage and shipping space. Need custom quote beyond the explained paper, size & finishing options? Give us the details and we’ll get back to you with a quote. *Price range estimation given above is only an approximation based on quantities of orders less than 1,000. For actual prices on orders and quantities for your products, please submit a custom quote. Custom quote is located below the product description section. Copyright 2015. My Kolors. All Rights Reserved.